A delightful summery treat, refreshing on a hot day and comforting during the long dark hours of the soul in winter, Stecca is centered on a unique note of tomato leaf. 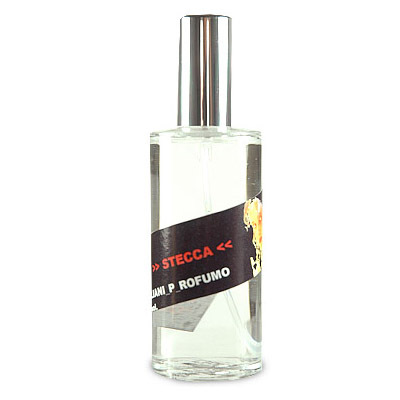 The name humorously plays off the theatrical tradition of throwing tomatoes at stage for a bad performance, however Stecca the perfume gets nothing but loud applause and “Encore! Encore!” from us. Green, fresh and earthy, the fragrance is very true to the smell of tomato vines and leaves. As it progresses, the joyful, juicy scent of tomatoes themselves becomes apparent. Stecca is a reminder that the most delightful things in life are usually simple, a scent of pure, uncomplicated happiness.